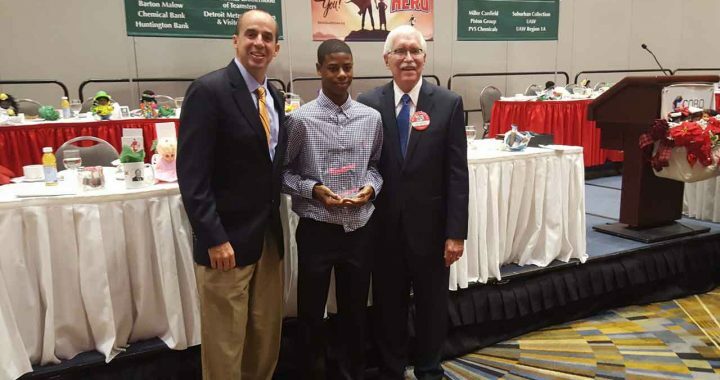 Please join us in congratulation Davion Jackson, 17, who is the recipient of theErnest Lofton Junior Goodfellow of the Year Award, presented by the Detroit Goodfellows at this morning’s 29th Annual Tribute Breakfast. Held at the Cobo Center, the event honored City of Detroit Mayor Mike Duggan with the Edward H. McNamara Goodfellow of the Year Award distinguished contributions to the community. Only the second year it has been given, the Junior Goodfellow Award honors a student who performed community service or other volunteer activities helping people in need. 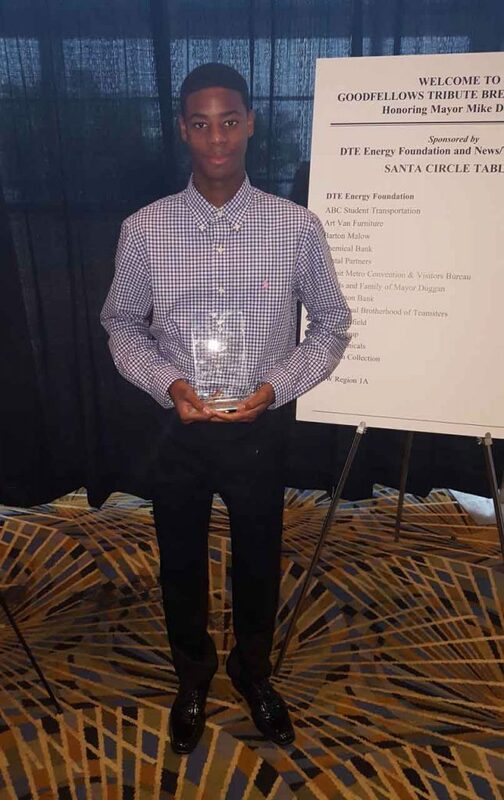 Davion, a Summer of Success camp counselor and mentor shines as a natural leader among his peers and his community, and we expect him to be a future leader here in Detroit. Funds raised at the breakfast will benefit the Detroit Goodfellows’ 2018 fundraising goal of $1.25 million, which will help provide 33,000 holiday gift packages containing clothing, books, candy and toys for needy children in Detroit, Highland Park, Harper Woods, River Rouge and Hamtramck.